We offer our real estate services FREE to home buyers. Our commission is paid by the seller. Therefore, you don't have to go at it alone. You can have a qualified, licensed, and experienced real estate agent on your side to assist you with finding a home to negotiating the best possible deal. The seller has a an agent working on their behalf. Make sure you have us to represent you and your best interests. 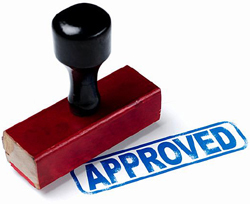 The absolute first and most important step in buying a home, is getting preapproved for a home loan. This step is critical because, knowing what your buying power is and which home buyer programs (e.g. $500 down payment program) you qualify for, will help us assist you in finding homes based on your qualifications. We can help connect you with a lender. Contact us today. When a loan is used to buy a home, there are fees associated with the purchase. First, there are loan related costs, such as origination fees, appraisal fees, credit report fees, etc. Then, there are prepaid costs. These are items that are paid in advance. Some are, daily interest, mortgage insurance, hazard insurance, taxes, etc. Finally, there are tile related costs. These are costs that are associated with closing. These costs can include settlement/closing fees, title insurance, surveys and recording fees. Closing costs are approximately 3% of the purchase price. Now, these closing costs do not always have to come out of pocket. We can request the seller to pay part or all of the closing costs. An earnest money deposit is a method of demonstrating a commitment to a contract. The amount of earnest money could be a fixed amount or a percentage of the purchase price (e.g. $500 or 1%). The deposit becomes a credit at closing, if the deal goes through as agreed. If the contract is breached or terminated by either party, depending on the terms of the contract, the earnest money deposit could be retained by the seller or refunded to the buyer. 1) Use our FREE Map-Based Home Search. You can begin searching for Rio Rancho homes immediately with real-time search results. You'll have access to all available photos, virtual tours and property details. There is no sign-up required. To begin searching, click here. 2) Setup FREE Listing Alerts. With listing alerts, you will know when a new listing that matches your specific interests, hits the market. You'll know before most real estate agents do. There's no obligation and you can stop the alerts at anytime. Setup your alerts today, click here. 3) Allow us to do the searching for you. Since the seller pays for our services, there is no cost to you for our assistance. Finding homes is what we do for a living. We have the best resources and the time to dedicate to helping you find the home of your dreams. Put us to work for you today. To connect with a Rio Rancho Realtor, call/text (505) 730-8181 or e-mail us. You will need a carefully and strategically drafted contract tailored specifically for the home that you are interested to maximum advantages in the transaction. We are qualified to write this contract for you. We'll assist you with negotiations from the beginning of discussions, all the way through closing. Contact us with any questions or concerns that you have with regard to buying any type of home. 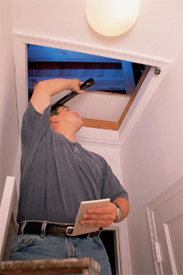 Home inspections are a vital aspect of the home buying process. Although some homes may appear virtually flawless, it's highly recommended that you still obtain applicable inspections that can inform you of the home's true condition. There are various inspections a home buyer can have performed on the home they are interested on buying. Which inspections to order can depend on various factors, such as your concerns, type of property, age of property, geographical area, condition of the home, lender requirements and a variety of other available inspections. We can help you determine which inspections you should consider and how they can be paid. Feel free to call/text us at (505) 730-8181 or e-mail us with questions about buying a home. Remember, there is no cost to you for our assistance with the purchase of a home. The seller pays for our services, so take advantage of side-by-side assistance during your journey. All information herein has not been verified and is not guaranteed.